Enlightenment of the heart will occur, when one’s Soul (Higher Self) comes down to the Earth. The internal light opens the door to experience Heaven on Earth. 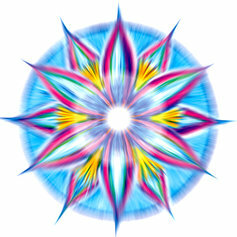 This mandala helps to bring the light of the soul into daily experience.